Use our premium Orlando airport limo service to your advantage. You can count on Imperial Transportation to give you a smooth ride to any airport in the Orlando area, no matter from which location you are starting your travels. Anytime you have a plane to catch, business meeting to get to, or a wedding to attend, remember that our extravagant fleet stands at your disposal at all times. If you already booked your tickets and packed your bags, what else is left for you to do before you take off? Well, you should arrange a drive to and from the airport in order to avoid all the crowds, lines and bad transportation options. If you need to get to Orlando International Airport (MCO), Sanford International Airport (SFB), Tampa International Airport (TPA) or any other private or public airport in the area, rely on our team of trustworthy professionals to handle the transfer. You can book our Orlando airport limo even on your way back home, just contact our attentive customer service representatives to organize every little detail. Middle of the day or night – we will make sure you catch your every flight. Our chauffeurs are true wizards behind the wheel. Any tedious traffic inconvenience and parking difficulty is never a problem for them and they always want you to make the most out of our terrific black car service with their smooth driving and maximum of privacy. While your experienced driver is effortlessly navigating Florida roads, you are free to let your hair down and do whatever you like. Each and every drive with our Orlando limo service will be an amazing experience you will want to recommend! Why? Because our skilled drivers are trained to handle any kind of inconvenient obstacle. 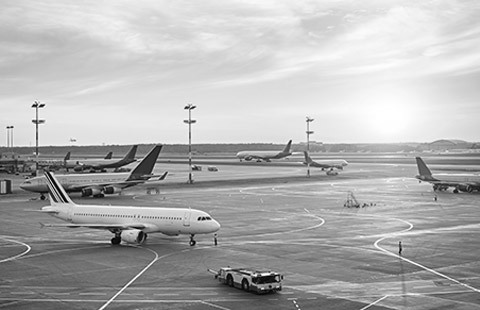 When you couple a fleet of perfectly maintained vehicles with that amount of expertise, there is no way you won’t catch your flight on time and stress-free. Let us give you a comfortable ride to your terminal. Keep in mind: not every transportation experience has to be stressful and annoying. On the contrary. Once you reach your desired destination, you will not feel like getting out of our cozy luxurious car. Make a choice between a sedan, SUV, luxury van or a party bus, depending on the occasion and number of people traveling with you. Our chauffeurs will make sure you feel like royalty at all times by carrying your bags, opening doors and helping you in and out of the vehicle. You can book our Orlando limo service for any occasion – visiting Disney World, Universal Orlando, heading on a cruise from Port Canaveral or just going to your hotel, office or your home. We can even take you as far as Daytona Beach and other surrounding vacation spots. We can take you or your VIP guest from meeting to meeting or just drop you off straight from the airport wherever you ask us to.